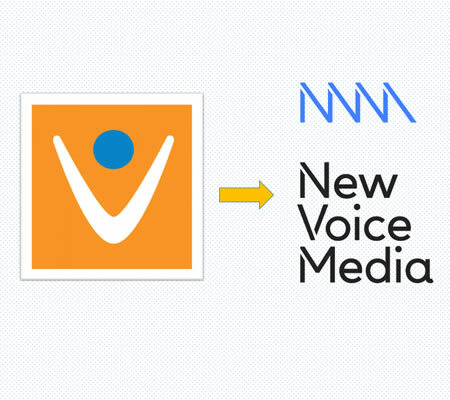 Vonage Acquires NewVoiceMedia – What Does it Mean? Big news in the call center world broke last week: NewVoiceMedia (NVM) was acquired by Vonage for $350M. What does it mean? Well, the obvious take-away is that cloud-based call centers continue to be a hot space and a great way to build value for investors. Some commentators talk about a “wave of consolidation” as if it’s a time-limited event, but as I look back at the last decade, it seems more like a constant rhythm in the industry. As long as I’ve been following the space, this acquisition pattern has been ticking along reliably. The exits get the headlines but innovative new entrants are continuing to launch. It’s been fascinating to watch Salesforce become more and more dominant in the call center space. Two years ago we wrote “Salesforce Has Many Fingers in the Call Center Pie” and that is even more the case now. The larger pattern is the growing overlap of CRM and call centers (See “Is a Call Center Just a CRM Feature?”). Call center technology used to be hardware-based, voice-focused, proprietary and cloistered from plain vanilla developers and IT people. That’s all changing. 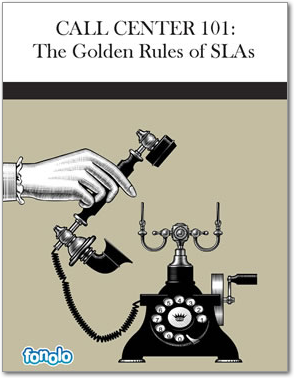 Of all the sectors in enterprise IT, call center resisted the cloud transition the longest. Twilio and others made the once daunting voice-and-telco part of call center just another API call. For Vonage, this acquisition comes on the heels of their TokBox acquisition and, going a bit further back, their Nexmo acquisition. Vonage has had a long journey. I’m old enough to remember when they were a consumer voice play. In fact, that’s still the first association that pops into my head (stupid non-volatile cerebral RAM) and I have to consciously remind myself that today’s Vonage has nothing to do with that. This is Vonage 3.0. Vonage 1.0 was a consumer VoIP pioneer known for incessant television advertising. Vonage 2.0 was the BroadSoft aggregator (acquired Telesphere, SimpleSignal, and iCore), and Vonage 3.0 started soon after CEO Alan Masarek arrived in 2014. This announcement from 2013 only addresses NVM using Twilio for inbound/outbound routing, but things may have evolved since then. Nexmo is part of Vonage and, as a CPaaS play, also competes with Twilio. I wonder if NVM will be pressured to replace the bits that are running on Twilio with Nexmo equivalents? 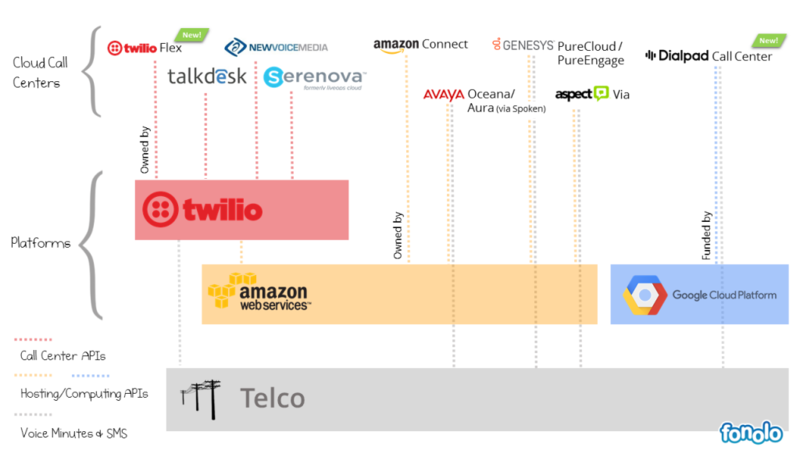 The diagram above is from “The Twilio / Amazon ‘Stack’ Will Dominate the Next Call Center Era”, published in March. I will update it in an upcoming blog to reflect the Vonage acquisition and other changes. This industry is moving fast.